The unique features of our two carrier mobile apps are specially designed for different parts of your business so you’re supported from all sides. Navisphere® Carrier is a fleet management tool and Navisphere Driver is designed especially for drivers. Everything you need to know about the C.H. Robinson loads you want and the loads you have is directly on your iPhone® or Android® device. Whether you’re a budding business or an established organization, our free Navisphere Carrier mobile app helps you oversee the many facets of your business. Stay in control of current loads, driver assignments, document processing, and more. 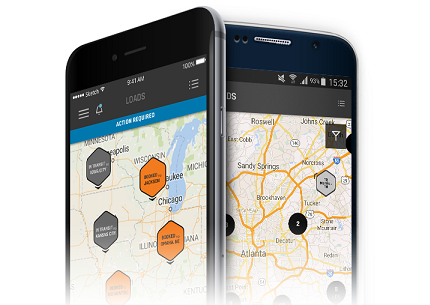 Our Navisphere Carrier mobile app helps C.H. Robinson contract carriers stay connected—to both booked and available loads—so you always know where your business is going. Efficiently search for, find, and plan your next load using customized preferences. Start the payment process faster. Quickly upload all shipping documents using your phone's camera directly in the app. See your booked loads in detail—including real time changes—on your personalized announcement screen. Assign drivers, manage your loads, and post trucks easier than ever. With the combination of available tools, you'll quickly notice fewer check call hassles, easier load planning, more informative notifications, and best of all; you can leave the bulky computer at home. As a driver, wouldn’t it be easier to let your phone automatically submit load updates? Using geo-fence updates and your phone’s location services, Navisphere Driver submits near real time load updates so you can focus on the road. 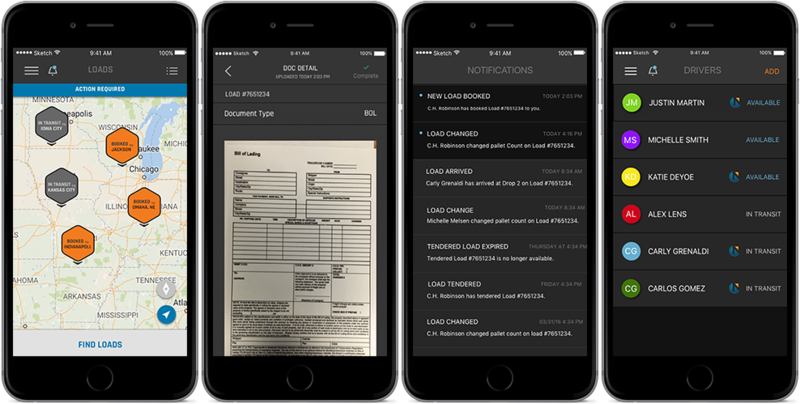 Beyond eliminating the time and costs during required stop and in-transit updates, you can also scan and submit load paperwork in the app using your phone’s camera to get the payment process started right away. You might find that a combination of both apps and our other technology options is the right fit for your business. Check them all out today!